ALL BARGAIN and INSTANT-SHIP ITEMS 50% OFF, limited offer, while stocks last. 80% OFF on selected items for any purchase of other items with net total product value of USD100.00+*. *or equivalent amount in your currency. INSTANT SHIP ITEMS: ALL 50% OFF. Dispatch by next working day. 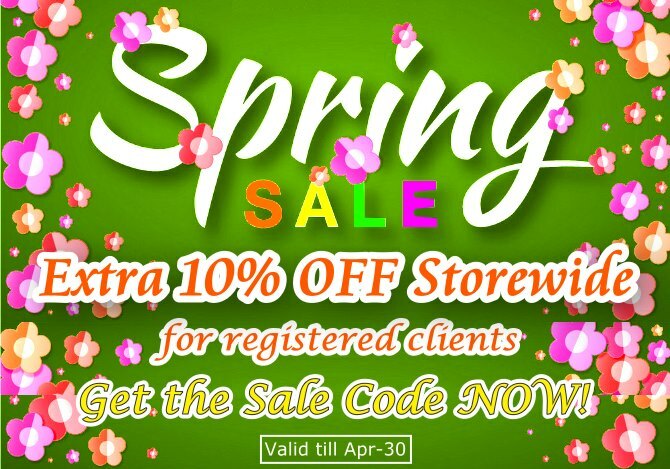 Item Quantity Discount: 5-10% Built-in Discounts, on top of other discounts, for up to 10 and 50 pieces per item ordered. Order Amount Discount: 5% Built-in Discounts, on top of other discounts, for net total product value up to USD240.00*. Buyers are entitled to multiple eligible discounts in a single order. Buy more, get more discounts and have more FUN!